The father-daughter duo shared the experience of working together on the sets of Shelly Chopra Dhar's Ek Ladki Ko Dekha Toh Aisa Laga. 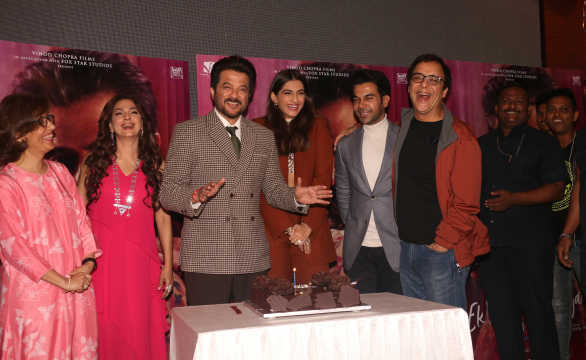 Actress Sonam Kapoor Ahuja displayed all the embarassment of a daughter as her father, Anil Kapoor, stole the show at the press conference for the second trailer of Shelly Chopra Dhar's film, Ek Ladki Ko Dekha Toh Aisa Laga. As producer Vidhu Vinod Chopra introduced the characters of the film to the media, it was not easy to take the spotlight off Anil. "I carry the mike with me," joked Anil as he kicked off the conversation on the podium. 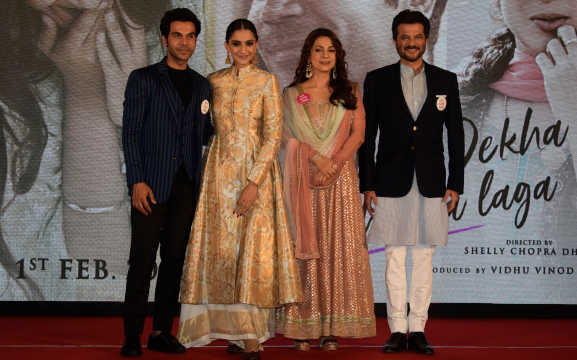 The event began with Vidhu introducing the actors, Anil, Sonam, Rajkummar Rao and Juhi Chawla, who were trapped in glass boxes. With the tagline of the film being 'Set Love Free', Vidhu stated that the boxes were symbolic of the 'traps' that people often lay for themselves in their lives. As for Anil, he stated that the reason he chose the film was that Viddhu described his character as being 'the Mukesh Ambani of Moga.' As for working with daughter Sonam for the first time in his professional career, he said, "She (Sonam) had said earlier that she didn't want to work with me (laughs). But the truth is that we never found a script or a story that we wanted to do together. So when Sonam heard this script, and I heard this script. I had to do it. It was good." The actor was in full flow, as he stepped up to do a rampwalk on being praised for looking so smart, much to the embarassment of his daughter-actress. Director Shelly, who will be making her debut after almost two decades as an assistant director, said, "The golden rule of cinema is entertainment. We have tried to make the film entertaining. I hope you will watch this film and enjoy. Secondly, if after watching the film, it forces you to think, even a little, there cannot be a better thing. We all have a part of ourselves in this film, that you will experience in the film." While she denied being a pathbreaker for choosing the film, Sonam admitted that Ek Ladki Ko Dekha Toh Aisa Laga is 'one of her favourite' films. "I felt very validated that I was the choice for the film," she added, "when I heard this script, I genuinely felt it was the most important scripts I had read. Not because of what the film was about but because of the way it was portrayed. When I read the script, I felt that kind of atmosphere was so relatable. We have seen it in several films before, but the idea that the film is about was not something we had seen before." 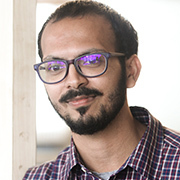 The second trailer of the film captured the role Rajkummar's Sahil Mirza plays as the supporting love interest/friend who helps Sonam's character Sweety realise her own truth and identity. Speaking of his character, Rajkummar said, "Sahil is a big lover, and a little rebellious in nature. He works in theatre, and wants to do his own thing in life. Sahil is all of us who want to do something of our own." 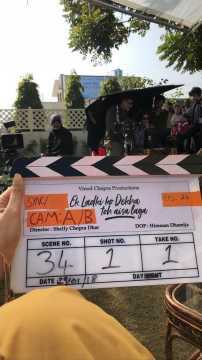 The film, written by Gazal Dhaliwal and Shelly, will be released on 1 February 2019.